"Nice job, Pidgeot," Ten commented, though somewhat awkwardly. "I guess Reuniclus, you can drag this guy along with us." Ten swore that Reuniclus almost looked gleeful at the prospect. Reuniclus hated poachers, so it was probably a nice opportunity for it to openly express his hatred. Try to treat him nicely, Ten tried to mentally tell Reuniclus, but he couldn't tell if it had worked, although Reuniclus seemed a little more gentle when taking one fist and roughly dragging the guy, who looked very angry and uncomfortable, along. Kho just kept up her continuous grin, eye's flashing every once in awhile, but otherwise had no complaints. She was getting ice cream for free, and even if she wasn't able to scare Elle away.... Opportunity would pass eventually, and actually she was rather impressed by the trainer. Not many would be able to stand up to their tricks. Kho tilted her head slightly, looking up at Elle, then up at Kainda. "You're weird miss,"
Nodding as the boy clarified the situation, Rume relaxed her stance, placing Larry's pokeball back in her bag. Training alongside, or with, your pokemon wasn't all too uncommon, especially among those with fighting types. It was a perfectly reasonable occurrence. "Ah, I see." She muttered, before directing a sudden question at the boy, "Just for clarification, the path behind me, where I obviously came from just now, heads towards Floaroma Town in- "She hesitated, before pointing to her left, "that direction?" "Oh, hey! We have the same destination!" Zero said, grinning again, and glanced in the direction the girl was pointing. His grin faded away and was replaced with something along the lines of distracted concentration. "Um . . . I think so? I actually landed not long ago, but I think I got turned around while we were sparring. Plus, my Staravia isn't fit for any flying for a while . . ." Zero trailed off, turning back to the girl, surprise lifting his eyebrows, as if he'd had an epiphany. "Oh! I'm sorry. I'm Zero. Nice to meet you!" He held out his hand, which was covered in dirt and scratches. Summer walked quietly next to Ten, messing with her styler and occasionally glancing over at the captive they were dragging along. She felt bad that he was being handled so roughly, but it wasn't as if they should be nice to him. He was dangerous and had tried to injure Pokemon. Summer's brow furrowed in confliction, her mind wrestling between both sides of her conscience. Finally, she said, "Um, would it help if Pidgeot carried the poacher?" the bird was flying short distances and landing on tree branches until the Rangers caught up, and then flying off again. He looked restless. She reached out and grasped his hand, giving it a single firm shake, "I'm Rume Waleis. It's a pleasure." She released his hand and turned towards his pokemon, "It's also a pleasure." Turning back to Zero, she rolled her shoulders and asked him a question, "So, are you challenging the gyms?" Luca nodded, her arms crossed, and began to pad around the clearing, investigating the plants with great interest. Zero kept on talking. "Yeah, I guess. Whenever we land in the cities with gyms, at least. I came to Sinnoh to train with Maylene. Have you met her?" Rume tilted her head in thought, the name was famillia-ah, "The gym leader? Yeah, I've heard of her. So you're not from Sinnoh then?" Rume glanced at the time on her poketch as he answered, hoping she wasn't falling behind schedule at all. Ten shrugged. He still felt somewhat spiteful and disgusted by the poacher, but he supposed that Reuniclus was being a little rough. Reuniclus, he thought. Reuniclus ignored him. Come on, Reuniclus. Hand the guy over. Reuniclus reluctantly passed the guy over to Pidgeot, though he seemed to glare at the poacher, who looked rather defeated. Elle nodded rather cheerfully. "Yup! I'm weird. More like you, and less like everybody else. It's nice being weird, isn't it? 'Normal' is boring. Now, what flavor ice cream do you want?" She had noticed the ice cream store, bright, happy, and very crowded, to her annoyance. That's the price I pay for fun, she thought. Summer gave Ten a relieved smile, her compassionate side having won in her own wrestle of thoughts. Pidgeot picked the poacher up carefully in his talons and began to fly toward Sunyshore and the police station. Summer sighed in relief, dropping her hands to her sides and admiring, once again, the sun on her face and arms. "Nope!" Zero replied, glancing over to see what Luca was doing. She had just scooped up a fallen Starly chick and placed it back in its nest. "I'm from Fortree City, Hoenn. What about you? Sinnoh?" That was kind of a stupid question, but oh well. Zero was in a good mood. He noticed Rume glace down at her Poketch, and her hair fell over her shoulder, the silken ends of it brushing across the lightly tanned skin of her neck. Instantly Zero felt the heat rise in his face, and he realized he was weighting her down. "Uhhm, I'm sorry if I'm holding you up I can just go away now . . ?" he faltered awkwardly, mentally smashing his head against the nearest tree, cursing his stupidity. "So... where are you from?" Ten asked, looking somewhat awkward. He figured that getting to know Summer was a good idea, but he wasn't quite sure how to do so casually. Asking that question did seem to make him feel slightly stalker-ish. She was a lot nicer and more cheerful than he was, treating the poacher like she did. "Yeah, I'm from Snowpoint City, that's ah... to the north." She answered his question and then found herself making a face as he stuttered out a random apology to her, prompted by something or another. She put a hand on her hip and shifted her weight over as responded, "We are going to the same place, and I figure the pests around here are more likely to leave us be if we travel in a group. There aren't many detriments to traveling in a larger party anyhow. Seeing as you are also physically fit, there's no reason you wouldn't be able to keep up pace with me." She gave a heavy sigh, "So why are you apologizing?" Zero gulped, painfully aware of the drop of sweat slooowly tracing its way down his jawline. He waved his hands in front him, flustered and awkward, as he tried to backtrack. "Well, y'know, you were checking the time and I thought I had made you late or something! Yeah, sure I'll travel with you!" Luca looked over at the pair in interest, tilting her head so that her long, blue ears flopped to the side. "Celestic Town, actually! I don't know if you've seen it, but we have some old ruins there. It's considered almost holy by the people there, and visitors are usually forbidden, especially if they're aggressive, like a trainer." Summer said, her mind scudding back to her hometown and its steep slopes, calm waters, and ancient history. Pidgeot was now out of sight, and Sunyshore was just around the bend in the road. Rume looked down at her poketch again as he told her he would travel with her, gauging her time. Suddenly she brought her head up, looking him in the eye, "If you plan to continue your sparring session it wouldn't bother me any. I can wait, if that was your plan." "Oh, I've always wanted to go to Celestic Town!" burst out of Ten's mouth. It was true, but quite spontaneous and unlikely, if Summer had been telling the truth about not welcoming visitors. He'd never liked history much, but he'd been fascinated by Celestic Town, all mysterious and ancient. Zero's fingers went reflexively to his sore shoulder, and he shot Luca an accusing look from the corner of his eye. The Lucario blinked at him slowly and began to walk around again, pausing every now and then to look at a leaf or touch the bark of a tree. It had been a long time since she had visited a forest, and it fascinated her. "No no, that's fine. We were almost done, anyway. She fights rough." Zero laughed almost nervously, feeling trapped in Rume's piercing gaze. Summer looked up at the sky, watching a small flock of Starly pass overhead, their shadows skipping across the ground. "Yeah, it's really a cool place. If you wanted to see the ruins, I'm sure they'd let you pass if you were with me." she winked playfully at Ten, and suddenly Sunyshore City loomed out of the treeline, its bridges and pathways glittering an intense, modern blue in the strong sunlight. This city certainly earned its name. The police center was just inside the city's arching gates, and Pidgeot had just landed outside, letting the poacher slide to the ground. She crossed her arms as he brought a finger up to one of his shoulders and glared at his pokemon. When he turned back to her she gave him a curt nod, gauging him as she asked her next question, "And you don't need to take a bit more of a break before we set off?" Ten started and stared at Summer when she winked at him, unsure of how to respond. He was sure that he probably should be acting confident and reply with some smooth phrase, but nothing came to mind, so he remained silent, turning his head to gaze at the city. He almost decided to ask Mark to remove Summer as his partner, as he usually worked best alone, but he was sure that she would think he was a rude jerk and hate him. "Nah, I'm fine. We spar like this a lot, and I've had worse. It'll feel better if I get it moving." Zero responded, rolling his shoulder to show he was fine. Luca walked up next him, aware that they were about to leave. The teen grabbed his bag, which was now splattered with dust, and grinned at Rume again. She had to crack at some point. "Lead the way!" The two Rangers arrived at the station just when Officer Jenny came out, curious as to why there was an angry, bound man on her doorstep. She caught sight of the two and, when she saw their stylers and uniforms, was able to guess the situation. "Ah, if you wo are Rangers, then I'd guess this man is a poacher. Am I right?" She placed her hands on her hips and looked down at the man sternly, who was apparently intimidated enough that he nodded weakly. Pidgeot squawked in his ear, as if making fun of him. Officer Jenny turned back to the Rangers, smiling at them and pulling her hand to her head in a salute. "Thanking for helping me keep the peace!" Summer grinned back and mirrored Officer Jenny, taking up a perfect salute. "Just doing our duty, ma'am! Thank you for taking care of him!" Ten attempted to follow Summer's example, but ended up doing some awkward hand gesture in front of his head that looked quite strange. Officer Jenny gave him a curious look, in which he immediately dropped his hand and averted his gaze. Then, after an awkward pause, he turned to Summer. "So... what's... er... next?" First Pokemon: He first met Furret when he accidentally left his window open and found the Pokemon sleeping in his bed. When he tried to let Furret out, it refused to leave and ran from him when he tried to throw it out. At first, he wasn’t too fond of the intruder, but, after a while, he became fond of it and let it stay with him. Personality: Kano is normally a very cheerful and bright boy, though somewhat silly at times. He looks innocent and not like someone who would be working to put the world to sleep. Most people underestimate him as simply a pure and intelligent child. 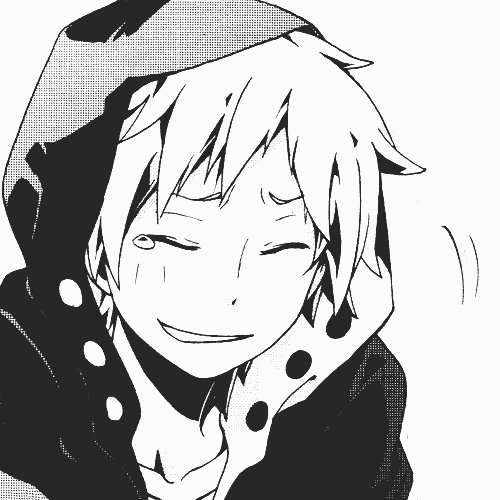 However, Kano can lie very easily and uses this to weave a facade of all fun and giggles. He is actually even more intelligent than he lets on, a genius child-scientist. He is always alert, always ready to react to a new announcement or a surprise. He uses the fact that people underestimate him to his advantage, surprising them with his intelligence and his potential ruthlessness. He can watch people die without being fazed. He’s not evil, just hurt and hardened. Most of the times, though, around Team Trance, he still keeps up his light and cheerful ways, but he knows that Team Trance won’t underestimate him. Occasionally, he’ll still be overcome by childishness or foolishness, like whining and crying. History: Kano was one of the sons of a very rich family who lived in Celestic Town. He had many brothers and sisters, along with friends. Kano was very interested in the history around Celestic Town, and he almost always went around researching the legends for fun. One day, his parents threw a massive party for his birthday. During the middle, he left the mansion by himself to go to the store to buy some supplies. However, when he came back, he found the mansion burned down, and no sign of survivors. From then on, he became a harder person, weaving lies around himself. He looked forwards to sleep, since his dreams were the only places he could meet his family and friends. That’s the main reason behind joining Team Trance. Other: He happens to be somewhat obsessed with the color (and the specific color) of royal purple. Jonine gave the situation a long, long, amazingly extended period of thought, taking into account all of the input that her Admins had given her. Obviously, she would need to send them to look in the area where Darkrai had been seen, that hadn't needn't to be said out loud, or maybe it did. Eterna was the place to be, apparently, so obviously the best place to send her Admins was in that area. "REM, if Eterna is the best place to start our search, then that's where you four all need to go," Jonine nodded. "I may follow after you in awhile, after I've done a bit more research. Be sure to check the forest, talk to locals, and look around other areas near the city." She nodded. "Okay," She nodded and turned on her heel as he gave her indication that she was to lead the way. She made her way through the brush carefully, taking the least obstructive way through, which was mainly the gap she had made as she crashed through not long ago, and eventually she reached the path again. She hesitated, trying to recall which way she had turned off the path when she had gone to investigate. She frowned to herself, surely it had been to her right...? Yes, it had been that hadn't it. As such she turned to the right again, following the path in that direction, hoping that she wasn't wrong. As Rume pushed her way through the thick forest underbrush, Zero let out a deep sigh that he hadn't realized he'd been holding. Luca stood beside him, staring at him intently, and began walking off after Rume, leaving him behind "Hey! Get back here!" He scrambled after her, swatting branches and bunches of leaves out of his way before finally stumbling out into the open, nearly tripping over a root, while Luca stood calmly in front of him, suppressing a grin of laughter. Summer opened her mouth to reply when a familiar electronic voice crackled to life. "Beep beep! Attention Ranger Team 14. Attention Ranger Team 14. Poacher activity detected in Eterna Forest. New assignment: Stop the Eterna Forest poachers. Beep!" Bother Summer and Ten's stylers had begun speaking at once, and even Pidgeot had stopped being annoying in order to listen. "Well, it sounds like we have something to do, after all." Ari nodded silently and got to his feet, Shayde jumping gracefully to the ground and trotting at his heels. Once she turned to glare at Cecil and Xaevier, but Ari nudged her with his toe and she grudgingly scampered forward again. Ari began running through a series of tasks in his mind, mentally checking off each one as he remembered completing them. His sucker clicked against his teeth as he walked down the hallway. "Oh, okay. So... um... I suppose we'll have to get transportation?" Ten inquired slowly and hesitantly. "So, do you have any ideas?" He had some, but he didn't want to blurt them out all at once. He could probably get a Flying-type Pokemon, but it seemed to rude to shove his ideas in front of Summer. Kho shot a glance at the cheerful people around them, some of them shrinking back and the others looking away from her quickly. She just smiled some more, looking up at Elle. "I want Mint chocolate chip with gummy bears," She announced, nodding slightly and continuing to grin. Cecil grinned and nodded, "Yes sir!" He jumped up, scooping a half-sleeping Xaevier up; who snorted up at Cecil begrudgingly, but just made himself comfortable in Cecil's arms. Cecil rushed down the halls, waving slightly as he passed Ari. He was trying to go fast so he could seem cool, and he didn't even know what kind of plan he should put together. He had a idea, but not that much of one.